We have a new cookbook coming out September 4th, and this one is my personal favorite. Something about us Sisters’ that you may not know, is we love going to restaurants and being waited on. It doesn’t happen very often, but every once in a while, it’s nice to eat good food and not have to do the dishes. Another reason we enjoy eating out is because the food tastes so amazing! What are they putting in their recipes to make them so delicious? Well we have been working hard to crack the code, and created a whole cookbook dedicated to copycat restaurant recipes. The best part is… you can officially pre-order it! 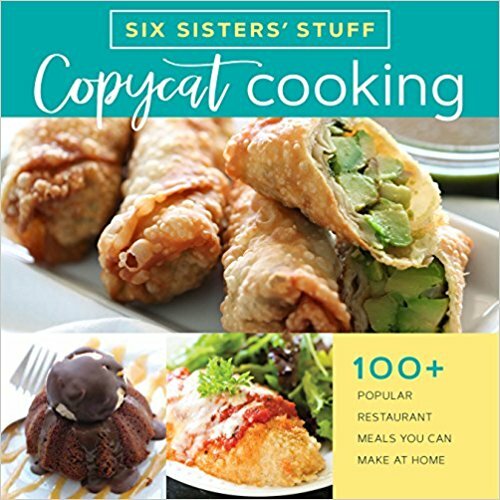 You can find it here: Copycat Cooking with Six Sisters’ Stuff. It’s also on sale, but not for much longer, so buy it while it’s more than 20% off! Our new cookbook includes copycat recipes from Wingers, Texas Roadhouse, Starbucks, Panera, Cheesecake Factory, Kneaders, and so much more! We have you covered from drinks, to dessert and everything in-between. It has over 100 of your favorite restaurant recipes that you know and love! It’s the perfect gift for new teachers, weddings, mothers, daughters, nieces, grandmothers, and even the guys! These recipes are simple, easy to follow, and don’t require any strange ingredients. Let’s get copycat cooking! As a special thanks to all our followers, we wanted to give you a gift for all your support! 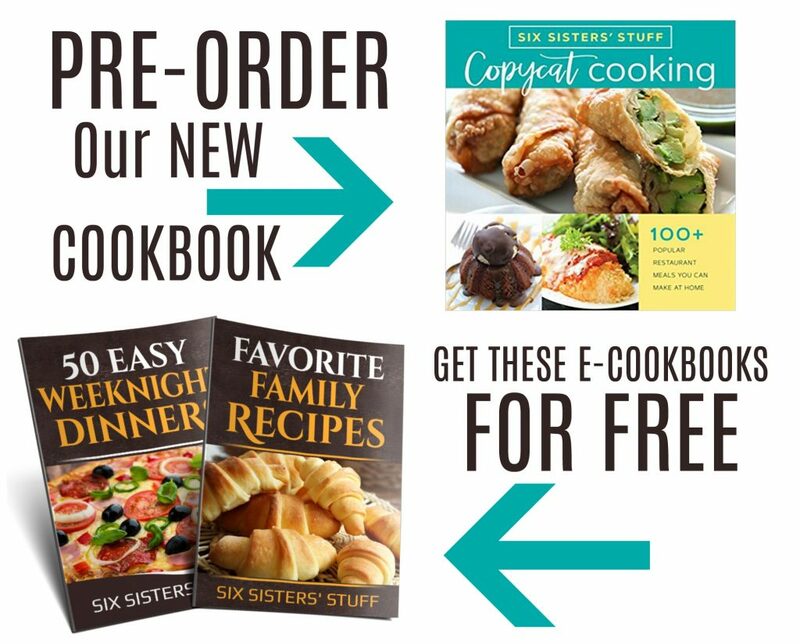 Not only can you pre-order our NEW CopyCat cookbook but if you pre-order it between now and August 31st, you’ll get two of our most popular e-books, for FREE! These include 50 Easy Weeknight Dinners, and Favorite Family Recipes. Our 50 Easy Weeknight Dinners include a variety of dishes your whole family will love. Chicken, beef, pork, turkey and fish? You got it! These dinners are so simple and take just minutes to throw together. For a busy mom like yourself, this book is a must! Through the years our family has accumulated and tested many different recipes. 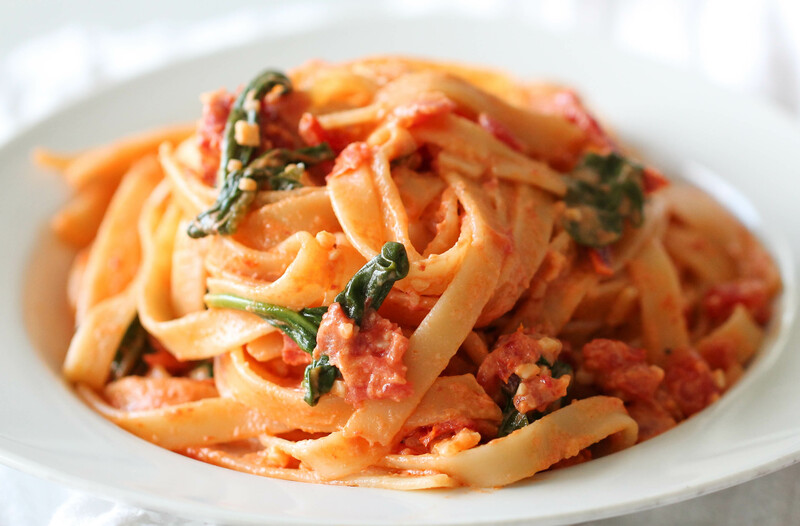 We have put together an e-book of all our favorite recipes. 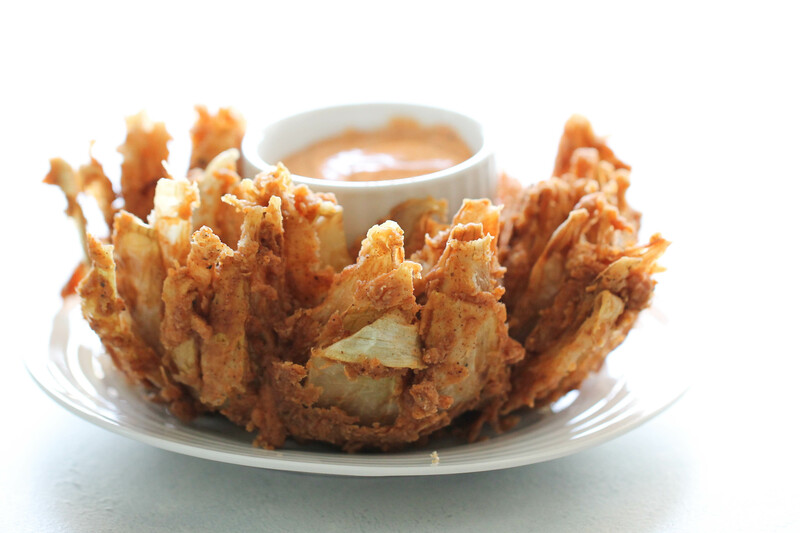 We call them our favorite because they taste amazing, our whole family will eat them, and they are easy to make. This e-book comes with appetizers, main dishes, side dishes, and desserts. Every recipe is easy to follow, and has no weird or unfamiliar ingredients. To redeem your free ebooks, email [email protected]. TO Order our NEW COPYCAT CookbooK! Will this be available for the Kindle? If so, can I pre order? does your new cookbook include pictures with these recipes so you know what it's supposed to look like when you're finished? , I would like to order your book, but not if it has only a few pictures. Thanks so much. Every recipe in our new cookbook has a picture! We took the pictures ourselves, so we definitely know they have pictures. We are so excited for this new copycat cookbook! I just preordered your book and am looking forward to receiving it. Just put in six sisters stuff on face book and you can follow us. Is it possible to purchase any of the ECookBooks? I haven’t been able to find a link to purchase the ECookBooks that works but would love to buy them separately! Do you have an IP cookbook yet? Sister number two, you have made me an addict! I just turned 60 this month and am now cooking. My husband is shocked lol! Would love to have an IP cookbook. Tried to pre order your book but it won't let me! OK, I think I"m ready to buy an Instant Pot. Maybe even 2 for my wonderful daughter birthday and Myself. I went on Amazon and there are at least 8 or 10 to chose from. Which one would you suggest? She has a family of 2 two terrfic boys (my beautiful Grandsons) and my terrific Son-In-Law. Which one would you suggest??? And, for me it is just my amazing husband for 33 years. Which on would you suggest? Hi Chrissie, I'm the mother of the Six Sisters. The girls gave me one for Christmas. It's just my husband and I at home. They gave me the "Instant Pot" brand 6 quart. For a family with kids you may want the bigger one. I wouldn't go smaller than the 6 quart instant pot. Maybe a 6 or 8 quart pot for a family with kids.